Now you can view and listen to stories from New Zealand and around the world on your computer in the comfort of your own home! We will be adding to our collection regularly, so come back and visit often. We gratefully acknowledge the support of Huia Publishers and Gecko Press in providing these stories online. 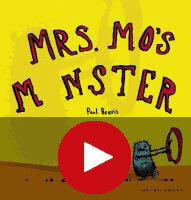 A monster with a one-track mind meets his match in an elderly lady called Mrs. Mo. With Mrs. Mo's help, the monster is surprised to discover that he can do more than he ever thought, but that's not the only surprise Mrs. Mo has in store. If you would like to read along with the story, click here to find the book in our libraries. Love eBooks? We do too! Now it's been made even easier to find the eBooks you want through the Overdrive Kids' Reading Room. The Kids' Reading Room collects together all the Children's eBooks in the library Overdrive Collection into one place. If you're an advanced reader, why not check out the Teen Reading Room? Inside the Kids' Reading Room you can search for titles, series or authors, select from a list of subjects, find the newest or most popular books, and find books that a perfect for your reading level. TumbleBooks is an online collection of picture books, chapter books, non-fiction books, educational videos and games. The picture books in TumbleBooks are created by adding animation, sound, music and narration to existing picture books in order to produce an ePicture book which you can read, or have read to you! Start reading now! Check out the TumbleBook Collection. When he sees his brothers bewitched by seven beautiful women, the adventurous Mītai must step in. The Seven Stars of Matariki is a contemporary myth of love, magic and adventure that celebrates Matariki and tells how the star cluster came into being. Click a book cover to listen, or one of these links: Te Huihui o Matariki read in te reo Māori, by Te Kahumatamomoe Taumata or The Seven Stars of Matariki read by the author, Toni Rolleston-Cummins. Let Selma the sheep show you what's truly important in life! Two donkeys who have loved each other for many years have a silly argument. They each storm off to find someone new, but it's not easy. Note: these are MP3 files. One morning Tortoise suddenly finds himself wearing a crown. 'I am the King!' he says. His friends can't stop laughing. 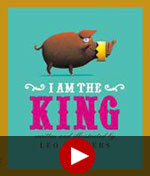 Goat, Flamingo, Snake, Pig, Crocodile, Elephant and Ape each think they would make a perfect king. But who really is the King of the animals? The big bad wolf goes for a stroll through the woods to find out what everyone thinks of him. It's bedtime - but what's that noise? Could it be a monster? Or is it something else? Watch & listen to author Melanie Drewery read her book The Grumble Rumble Mumbler - you can read more about Melanie on the NZ Book Council website. International Children's Digital Library: read some classic children's books from all over the world. You can serach by country, language, book cover colour, age group, genre, award winners, book length - so many to choose from!